Unless different terms are agreed to in writing by SCB Solutions, Inc. all deliveries of products to you, or to a location specified by you, will be made FOB SCB Solutions' designated shipping point, with freight prepaid. Freight charges will be invoiced to you. Risk of loss will pass to you at the point of shipment. SCB Solutions' liability for shipment and delivery of goods ceases upon delivery of products in good condition to shipping company or common carrier designated by you. All stipulated delivery or shipment dates are estimates only. SCB Solutions reserves the right to make deliveries of products in installments and any delay in delivery of any installment of any one or more products will not relieve you of your obligation to accept and pay for the remaining deliveries and does not represent a default by SCB Solutions under this agreement. Your purchase orders may not be canceled, suspended, changed or returned without written consent of SCB Solutions. Custom-manufactured products cannot be returned. Sales of download products are final and cannot be canceled. Except for custom-manufactured products, products purchased from the SCB Solutions Store may be returned if the product packaging has not been opened, shipping pre-paid by you and subject to prior authorization from SCB Solutions, for a period of 30 days from date of shipment. There is a $5.00 restocking fee per returned item. If you request changes to the design, specifications, or quantity of products after a purchase order is accepted by SCB Solutions and if such changes are accepted by SCB Solutions, SCB Solutions will prepare a revised quotation. If the revisions are accepted by you, the purchase order will, if required, be amended accordingly. 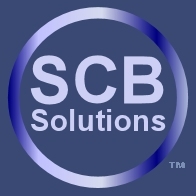 SCB Solutions warrants that the products and licensed programs supplied with or incorporated in the products furnished hereunder will, under normal and proper use, be free from defects in material and workmanship and will conform to SCB Solutions' applicable standard written specifications or, if appropriate, to specifications accepted in writing by SCB Solutions, for a period of SIX (6) MONTHS from the date of shipment to you for readers and THREE (3) MONTHS for cards. SCB Solutions' sole obligation hereunder shall be limited to, at SCB Solutions' option, either crediting you the purchase price or replacing or repairing any products or software, except post-processed integrated circuit cards. For post-processed integrated circuit cards (those that have had one or more operations performed by another party or you after delivery), SCB Solutions' sole obligation hereunder shall be limited to replacement or credit of a quantity of cards not to exceed 2% of the total quantity per batch, after subtracting 2% for each step of post-processing per batch delivered by SCB Solutions. These obligations apply to products for which (i) written notice of non-conformance is received before the expiration of the warranty period; (ii) after SCB Solutions' authorization, are returned to SCB Solutions' original U.S. shipping point, freight charges prepaid; and (iii) after examination, are disclosed, to SCB Solutions' satisfaction, to be non-conforming. Any such repair or replacement shall not extend the period within which such warranty can be asserted. This warranty will not apply to products or licensed programs which have been subjected to operating and/or environmental conditions in excess of the maximum values stated in the applicable specifications or otherwise have been subjected to post processing (except as provided herein), misuse, tampering, neglect, improper installation, abnormal stress, repair, modification, alteration, or damage. The licensed program warranty is only valid for products in which it has been supplied by SCB Solutions and neither the licensed program nor product has been modified in any way. THIS WARRANTY MAY BE ASSERTED BY YOU ONLY, NOT BY YOUR CUSTOMERS OR USERS OF THE PRODUCTS AND IS IN LIEU OF ALL OTHER WARRANTIES, EXPRESS, IMPLIED, OR STATUTORY, INCLUDING ANY IMPLIED WARRANTY OF FITNESS FOR A PARTICULAR PURPOSE OR MERCHANTABILITY, AND OF ALL OTHER OBLIGATIONS OR LIABILITIES ON SCB SOLUTIONS' PART. SCB SOLUTIONS NEITHER ASSUMES NOR AUTHORIZES ANY OTHER PERSON TO ASSUME FOR SCB SOLUTIONS ANY OTHER LIABILITIES IN CONNECTION WITH THE SALES OF SAID PRODUCTS. Friday 19 April, 2019 11174806 visitors in the last 12 months.